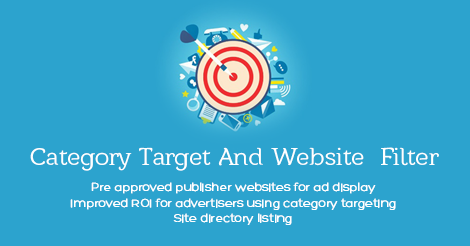 Category targeting addon for XYZ Admarket allows you integrate a category filter at advertiser end, as well as a site filter at publisher end. It also provides detailed statistics based on websites. This addon lets you define multiple categories which can be hierarchically nested and link publisher websites to these categories. Publishers will have to link each of their websites to a specific category and submit for approval. Admin can cross check websites and associated categories and approve or reject the same. Advertisers get the benefit of targeting their ads to one or more categories in addition to keywords, thereby improving their ROI.